The building in Farkasrét was the first church built under the communist era. 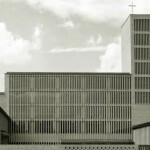 Isván Szabó architect (1914-1988) was also a part of the congregation and worked on the plans for free, and also took part in the construction. 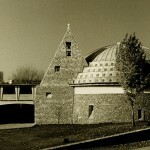 Isván SZABÓ designed churches after his retirement – this was his first, and also the most well known one. The colourfulness of his oueuvre is present in this work – he designed the reliefs and coloured windows as well. This district needed a church even from the thirties. The chapel the community used was heavily damaged during the WWII, so the masses were held in a restaurant standing on the place of the current church. 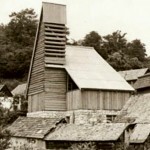 In 1974 the plans were made, but were only permitted as an extension or renovation of the existing building, thus the blueprints of the church follow its perimeters. Financial background was only made by donations and a bank loan, in the construction the members of the congregation also took part. The limited budget determined the design, so the cheapest materials were used: approximately 16 000 BH-60 hollow concrete blocks, filled with concrete. The pavement and the stairs are made of bricks; the lighninig is provided by 180 m2 coloured glass window. The construction was finished in 22 month. In the basement there is an urn-cemetery and the offices, above it is the sacral space of the church. 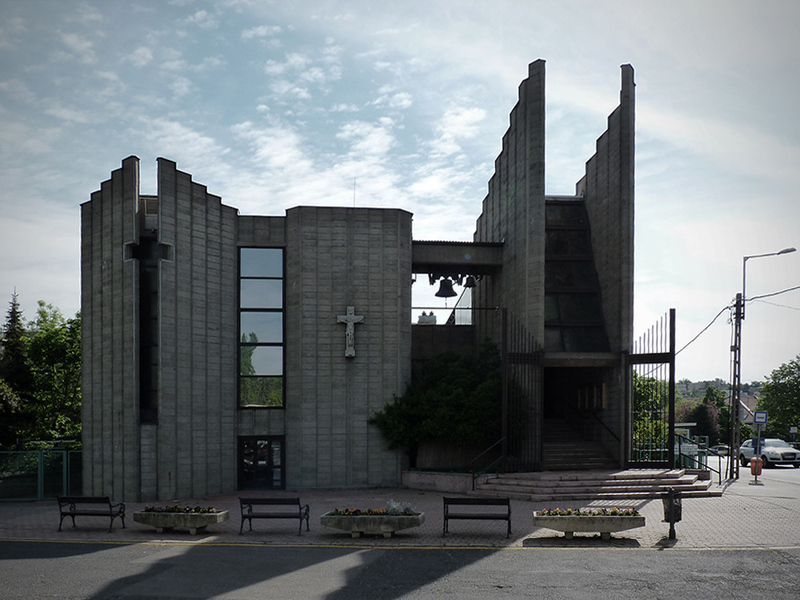 The plans of the church basically are made of two rectangles next to each other. 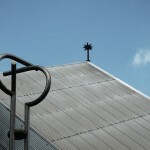 The church became an iconic structure of the neighborhood. 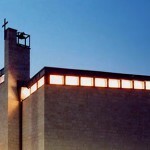 In 2011 the building became a protected monument, Isván SZABÓ received the Ybl Miklós prize in 1978 for his work of a lifetime and for the design of the Farkasréti church. All Saints' Roman Catholic Church - in: A mindenség modellje, Második, bővített kiadás, Debrecen, 2010, 72.-74. o.
Dániel KOVÁCS: Modern Church Artchitecture in Hungary after World War Two - in: A mindenség modellje, Második, bővített kiadás, Debrecen, 2010, 17.-24. o.